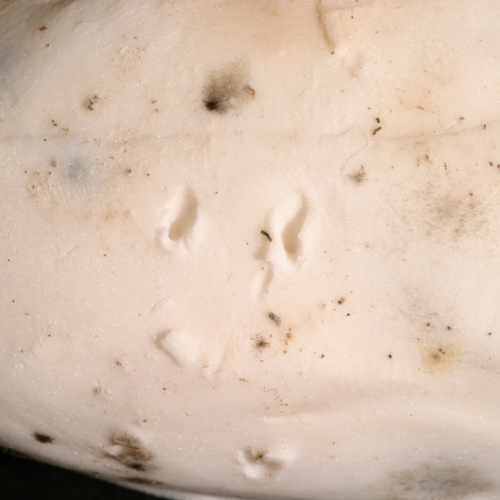 Stoat canine teeth marks left in an artificial egg made from plasticine. The teeth imprints were obtained using an artificial nest, a technique sometimes used by researchers in New Zealand to study pest predation. A pretend nest is made either on the ground or in a tree and a real egg is paired with a pretend egg of the same size made from plasticine. The predator removes the real egg and comes back for the second egg. When they bite it and realise it is not an egg, they leave it behind along with indelible teeth marks.